Thammasat Undergraduate Business Challenge (TUBC) is an international business case competition bringing together undergraduate students from leading business schools around the world. The competition is annually hosted in Thailand by the undergraduate students of Thammasat University’s BBA international program. This year marks TUBC’s 22nd year of continuing success in the global business arena, where it continues to build its recognition as a highly prestigious case competition. Each year, representatives from leading business schools are invited to join the competition. The case, which is written based on real issues regarding a specified business, will be given to the teams to analyze. The teams will then present their solutions to a panel of judges and a winner will be announced. 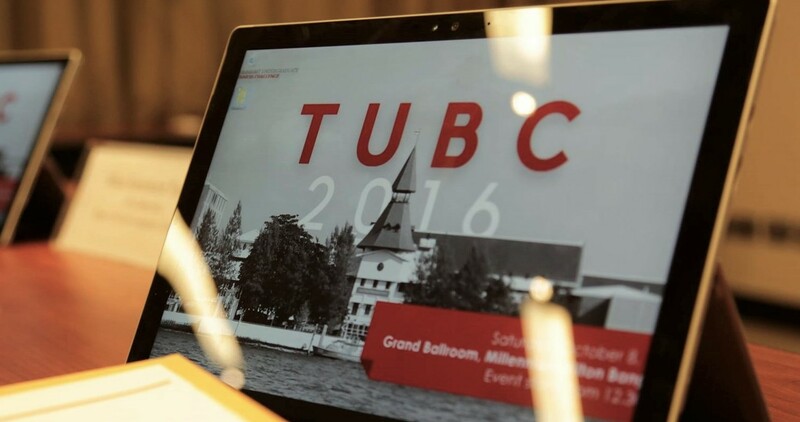 The participating teams of TUBC are invited from the leading business schools from around the world based on their previous performances on TUBC and other international case competitions as well as the global recognition of the university itself. 1. Each participating team comprises of 4 full-time current undergraduates. An exchange student status is not accepted. 2. Any participants, teams and indviduals, that joined TUBC in the previous years are not allowed. 3. In case of cancellation from any member of a team, no alternate is allowed. The team must continue the competition with the remaining members. © TUBC. All rights reserved.